Federal drug crimes carry severe penalties for those convicted and sentenced. The federal government in recent years has taken a strong public stance against the manufacturing, sale and possession of illegal drugs, which means that federal prosecutors are all too eager to put anyone who they think is associated with the drug trade behind bars. Knowing that the stakes are high when facing these charges, it is in your best interest to work closely with a drug charge lawyer like Brandon Sample to devise a workable defense or effective appeal to a sentence for federal drug law violations. Drug crimes are the subject of both state and federal laws. Many states have statutes that are narrower than the federal laws on drug crimes, but they are never allowed to conflict with the federal drug laws. In general, sentences for federal drug crimes tend to be more severe than those for state drug crimes, which is true even for first time offenders at the federal level. It would be a mistake to assume that a defendant charged with federal drug offenses will not also experience some prosecution at the state level for additional charges. For this reason, it is essential to retain a drug charge lawyer as soon in the criminal process as possible. What is a Controlled Substance Under Federal Drug Laws? The Controlled Substances Act provides a list of drugs that are subject to federal regulation. Many prescription medications are included. Drugs like cocaine and marijuana are part of this list, too. Since federal drug laws are so complex, we present a simplified explanation of the primary types below. For more comprehensive assistance, contact the drug charge attorneys at the Law Offices of Brandon Sample. The government is able to charge a person with the illegal manufacturing of drugs as long as they play some role in attempting to produce the illegal substance. Federal drug laws are very complex and encompassing. If a participant in any phase of the drug manufacturing process, you run the risk of being charged with manufacturing drugs. Manufacturing drugs is a serious offense which attaches unforgiving federal sentencing guidelines. If you have been charged, or are under investigation for, manufacturing drugs, retain the services of a drug charge attorney as soon as you can. By hiring an attorney early in the process, your criminal liability can be mitigated. Drug possession charges are some of the most common federal drug cases. The government must show that the defendant knowingly and purposely possessed the illegal substance, they did not have a prescription to do so and the quantity involved must be significant enough to actually use the substance personally or sell it to someone else. 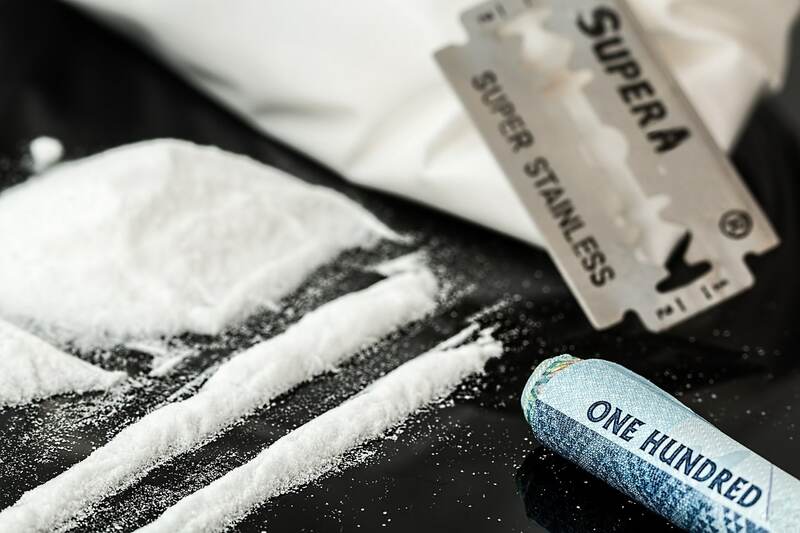 Even if a federally controlled substance is not considered an illegal drug at the state level, an individual can still be prosecuted under federal laws for the possession of a controlled substance without a prescription to do so. While discussed below, federal mandatory minimums increase drug sentencing significantly. If you have been indicted for drug possession charges, you need to hire a drug charge lawyer immediately. The distribution of illegal drugs falls within this category. It is a common misconception that the sale of illegal drugs must cross state lines in order for a defendant to be faced with federal drug charges. 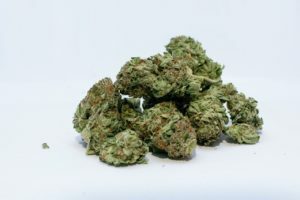 The government examines the amount of illegal drugs involved in the case as one of the primary determining factors in deciding whether to bring federal drug charges against the defendant. The penalties for drug trafficking tend to be very severe. For more serious cases involving drug trafficking, the defendant may face up to life in federal prison upon conviction. You need to speak with a drug crime lawyer as soon as possible so that every possible defense can be raised in a timely manner. Failure to do so could result in a longer period of incarceration if convicted. What are the Penalties for Being Convicted of a Federal Drug Crime? The penalties for federal drug crimes range in severity depending on the defendant’s role in manufacturing, selling or possessing drugs as well as the amount of drugs involved, the financial gain the defendant received, the defendant’s prior criminal activity, especially those crimes involving drugs, whether the defendant engaged in violence or intimidation and whether anyone was harmed in the criminal transaction. If a defendant is facing both state and federal prosecution for drug crimes, the defendant will face mandatory minimum prison terms in the federal drug case that are in line with the state minimums. For instance, even if there is not a mandatory minimum sentence for a drug crime at the federal level, a defendant may not be released from prison sooner than the mandatory minimum set by the state for his offense. This, of course, supposes that the state brings charges and convicts the defendant. The fines associated with federal drug convictions can be massive. For example, fines for drug trafficking offenders can be as high as $10 million. Trafficking offenses tend to have the higher fines because those individuals stand to profit more off of each transaction than another defendant who is simply possessing a drug for his own personal use. These drug possession charges tend to be the lowest level offense in the drug crimes ladder. Due to the severe sentencing guidelines for drug crimes, it is essential to retain a drug charge lawyer promptly. The drug charge attorneys at the Law Offices of Brandon Sample have considerable experience in such matters and will fight for you each step of the way. What are the Common Defenses to Federal Drug Charges? A prudent defendant in a federal drug case will consult with an experienced drug charge lawyer to find out if his Fourth Amendment rights were violated during the search and seizure by law enforcement offices. Law enforcement must follow all search and seizure proper procedures so as not to violate a suspect’s due process rights. There certainly may be other defenses available to you in your federal drug case, but many defendants facing drug charges end up challenging whether proper search and seizure protocols were followed by law enforcement officers. Our drug charge attorneys are well-versed in Fourth Amendment challenges to improper search and seizure in drug cases, such as when drug possession charges are brought by federal prosecutors. Being charged and convicted of a federal drug offense can alter the course of your life forever. This is the time to fight aggressively for your future with the help of an experienced drug charge attorney like Brandon Sample. Contact the Law Offices of Brandon Sample as soon as possible at 802-444-4357 (HELP) for an initial appointment. Speak with our drug charge lawyers today about how you can fight to regain your freedom and future after being charged with a federal drug offense. Regardless of if you have received drug possession charges, drug manufacturing charges, or drug distribution charges, we can help.